Since 1989, The Ohio Valley Group has been the experienced landscape partner of homeowners, property managers, business and commercial developers. Ohio Valley Group offers full serivce landscape design and installation as well as complete maintenance services. At Outdoor Concepts Landscape Contracting, Inc. we combine horticulture with artistic vision to create and maintain beautiful outdoor living environments for your home or business. Founded in 1987 with an unparalleled passion for the landscape industry, we continue to provide a full scope of landscaping services from landscape design, installation, construction, to maintenance services. 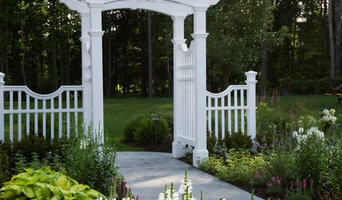 With a keen attention to detail and quality workmanship, our professional and trained staff uses the latest in landscaping techniques and proven materials to assure the ultimate enjoyment in outdoor living. We have earned accreditation to be a Unilock Authorized Contractor. This allows us to produce the highest quality product, backed by the most knowledgeable and dedicated professionals in the industry. "Quality Workmanship that is Guaranteed"
At Stone Ledge Designs, we treat what we do as a form of high art: it's beautiful, elegant, timeless, and expressive. Each project will receive our award winning skills no matter the size. With 18 years of experience, we employ only the most well versed, well rounded, and expressive landscape personnel. You will absolutely love the work we do for you, whether it's redoing your front yard, new gazebo, industrial complex, or entire backyard entertainment space. Call us for your next project! Ironwood Landscape, Inc. is a design/build and landscape management firm specializing in unique, creative and naturalistic projects for residential and selected commercial properties throughout Northeast Ohio. We provide comprehensive landscape services ranging from complex landscape master plans to the individual construction of patio surfaces, retaining walls, water features, outdoor kitchens, fire pits, architectural structures, plantings, lawns and sprinkler systems. Once your project is complete, we offer turn-key landscape management and snow removal services to ensure your outdoor environment evolves in a natural and efficient manner to maximize its full potential and provides you with complete enjoyment. Bluegrass Inc. was established in 1994 by TJ Wilkins. By 1996, Bluegrass was recognized as the largest irrigation installation and landscape lighting company in the North Eastern Ohio region. Being the second generation in the industry since 1964, our passion to provide the best outdoor landscape design service available was second to none; supporting our motto "A Contractor You Can Depend On". The growth of Bluegrass has continued over the past 20 years and will continued to add new services year after year to help you improve your property. There are many one-stop shops, but only Bluegrass Inc. has grown with a qualified staff to support each and every service we offer to the fullest measure. Regardless of the project you are considering – it’s an investment, and you should feel confident you have chosen a contractor you can depend on. Bluegrass is family owned and operated. We share our family values of loyalty, commitment and dedication with each and every customer. Thompson Landscape is a full service landscape company in business since 1978. Design and installation of outdoor sanctuaries has become our speciality. We utilize less commonly grown plant material for it's unique color and textures to provide greater enjoyment and privacy of your outdoor living space. We hope you find everything you need for your outdoor maintenance with us. FourM Property Services is focused on providing high-quality landscape and outdoor maintenance services that sets us apart from others. We will do everything we can to exceed your expectations. Garden designer, MaryAnn Thesing, focuses on the four-season garden. Influenced by Japanese gardens, she brings a unique design aesthetic to homeowners who desire a lush, tranquil, easy maintenance space, to be enjoyed for many years. Over 15 years of industry experience, Sweet Melissa Landscaping focuses on three main areas: design, installation and management. We specialize in these three areas so we can provide the absolute best customer service and highest quality product in the industry. 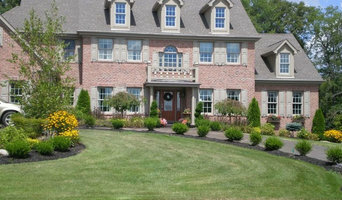 In addition, all of our projects include: - 5 year plant warranty (that is transferable should you sell your home) - 4 visits per year (pruning, turning over mulch, bed edging) - Custom Care Guide Sweet Melissa Landscaping is a McRyleigh Enterprise, LLC Affiliate and serves all of Medina County. Sweet Melissa Landscaping is also a Female Owned Business. Brian-Kyles is a family-owned landscaping design, installation, and maintenance company that has been creating award-winning outdoor environments for both residential and commercial clients throughout Northeast Ohio since 1988. We believe that a well-planned landscape should be an invitation to the tranquil enjoyment of nature's beauty for you, your family and your guests. Regardless of whether you are a homeowner or a business, Brian-Kyles offers a complete range of services to meet your landscape design and maintenance needs. What does a Cleveland landscape contractor do? Landscaping contractors execute lawn, garden and hardscaping plans that have been drawn up by an architect or designer. They may also provide design services on their own. After the everything has been installed, landscape companies can make adjustments, maintain plantings, take care of weeds and pests, and perform other tasks to keep the scheme looking its best. A licensed Ohio landscaper should have detailed knowledge of Cleveland, OH weather and climate trends and conditions, and can choose plants and materials that are well suited to the area. Residential landscape companies in Cleveland, OH also handle many of the same general duties as builders, including arranging for construction permits, hiring subcontractors and making sure that designs comply with Ohio building codes. Find Cleveland landscaping services on Houzz. 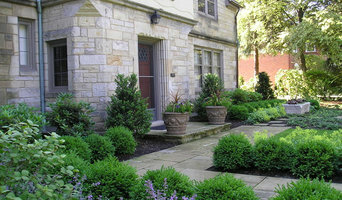 Narrow your search in the Professionals section of the website to Cleveland, OH landscape contractors. You may also look through photos of Ohio landscapes to find one you like, then contact the landscaping company in Cleveland, OH who worked on it.